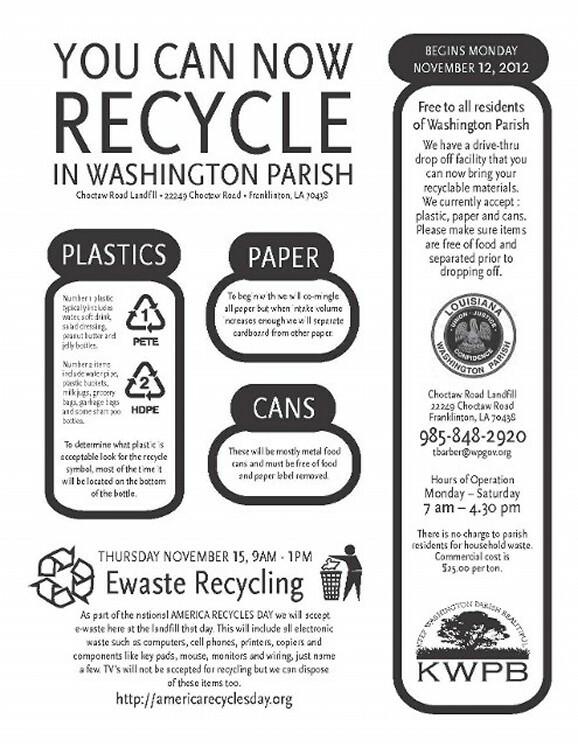 Earlier this spring, The Keep Washington Parish Beautiful committee announced our 2012 Trash Bash. 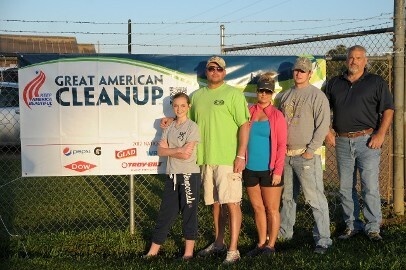 We asked for volunteers to participate in our annual Great American Cleanup. We are proud to announce that the Trash Bash was a success. The total trash picked up was 12,400 lbs and 21 wasted tires. KWPB would like to thank all the sponsors and everyone who participated to make this event a huge success! Keeping Washington Parish Beautiful committee offers wonderful opportunities to refresh our communities through cleanup and planting projects as well as rebuilding and renewing efforts. We are thrilled and look forward to the planning of this event for next year 2013. Please become part of our organization by keeping our Parish beautiful. 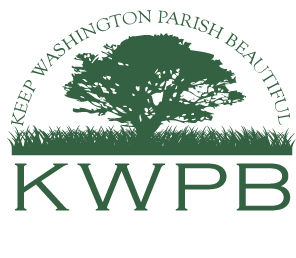 For additional information on Keep Washington Parish Beautiful, please find us on Facebook at Keeping Washington Parish Beautiful.